Swapnasundari's book on Vilasini Natyam. This is a dance form which she has spent years learning, researching and documenting. In a recent e-mail interview, she told me more about her artistic journey and the origins and revival of Vilasini Natyam. You have had an interesting journey as a dancer. While most dancers devote their lives to a single dance style and focus on a career as a performer, you have not been afraid to change trajectories and explore other dance forms and fields. At the height of your Bharatanatyam career, you turned to Kuchipudi and later you devoted yourself to the revival of Vilasini Natyam. What was the catalyst which inspired you each time to change direction? I agree that my artistic journey has been very untypical. The change in my trajectory has been spurred by many factors. Both my mother and maternal grand-mother were knowledge-seekers and enthusiastic explorers of new skills. Perhaps I am similar to them because of genetics. I sincerely believe that continuous growth is essential for an artist. Normally this is forgotten when people become established and popular performers. Whenever I have sensed stagnation in the external environment, I have sought to build an artistically rich inner world. I frequently evaluate my relationship with the external world and my internal world and I try to achieve a balance, in order to maintain harmony with both these worlds. This is a difficult exercise but necessary for a meaningful life. I am hungry for learning. I feel a latent urge to explore the unfamiliar. I am excited by whatever I pursue at any point of time and like to test my potential for meeting the challenge offered by each new idiom. Other than dancing three dance-styles, I also sing, teach and write. Both Kuchipudi and Vilasini Natyam have their origins in the Telugu-speaking region of India. How are they similar and dissimilar? There is no direct relationship between the Kuchipudi and Vilasini Natyam. In fact, one can discern some similarities between Vilasini Natyam, Bharata Natyam and Odissi. The historical connect between the solo Bharatham forms which were danced in these parts of southern and south-eastern India has been discussed in my book on Vilasini Natyam (Vilasini Natyam: Bharatam of Telugu Temple and Court Dancers). Interestingly, the Telugu hereditary dancers of Vilasini Natyam from whom I have learnt, have never studied from Kuchipudi masters. Most of them had not even seen Kuchipudi until television entered their lives. The name of the late Balasaraswati is unknown to them as is that of Odissi dance. Physical behaviour, mannerisms, language, customs, and preferences of people invariably leave a characteristic stamp on art-forms practiced in the same region, as is the case with the female solo-forms of Mohiniattam and Nangyar Koothu and the male dance-theatre Kathakali, all of which belong to Kerala. Similarly, any passing resemblance between Kuchipudi and Vilasini Natyam is an outcome of their shared culture. Though some similarity between Kuchipudi and Vilasini Natyam is discernible in the operatic repertoire, the differences are many. The Northern and coastal school of Vilasini Natyam alone contains over 100 basic adavus and their permutations and combinations. Another 35 to 40 Nrittha units belong to its Southern school. None of these find place in the Kuchipudi Sampradayam taught to me by its traditional male Gurus. Equally vast and varied is the Abhinaya repertoire and methodology earlier followed by the Telugu hereditary female dancers which continues today in Vilasini Natyam. 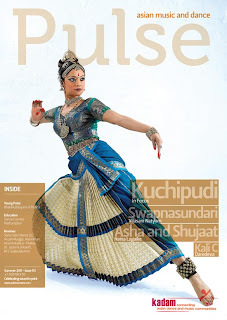 All this differs from what is currently taught and performed in Kuchipudi. You have learnt from dance gurus as well as from hereditary temple-dancers. How has the experience been different? Is one experience more ‘authentic’ than the other? So far as traditional performing arts are concerned, I do not ascribe much importance to claims of ‘purity’ and ‘authenticity’ which are frequently heard. Every so-called ‘authentic’ tradition that we see today is the product of re-invention and recasting by succeeding generations of exponents and teachers. Adaptations have always taken place as and when necessary. In Kuchipudi, the operatic tradition has all but disappeared and solo Kuchipudi dance is more sought after now. Sweeping changes and innovations which have been made in Kuchipudi over the last fifty years may have even rendered it unrecognisable to the generation which has lived through this period. In the case of Vilasini Natyam, its new performers including myself, do not belong to the Devadasi community. We are representing the art-form in a new context. We dance in a different forum (the proscenium stage), not in the royal court or the temple (except in the annual temple-festival of Rang Bagh). 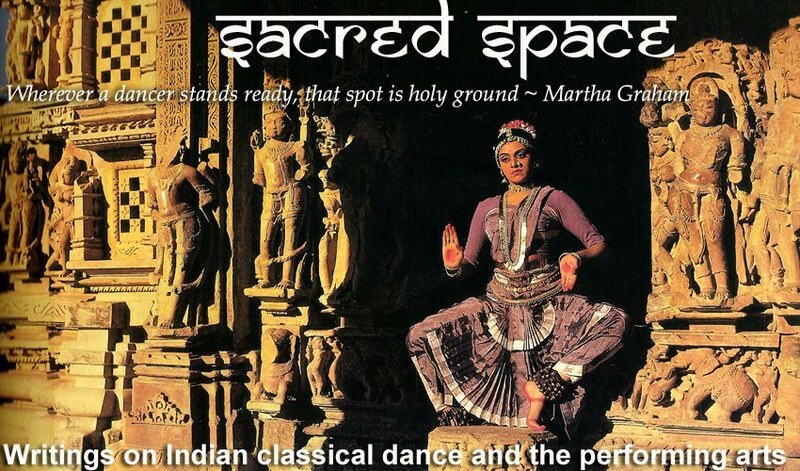 I respect the art which has been taught by my Bharata Natyam and Kuchipudi gurus as well as my devadasi Gurus. They have sincerely bequeathed to me what they had inherited and nourished assiduously through their lives. Now it is for me to handle this inheritance carefully and take it further. As has been happening over past centuries, it is natural that the dance-styles I perform and teach would acquire new dimensions through my interpretations. Why didn’t Vilasini Natyam receive the same attention as other dance forms post-independence? Though I have mentioned some key facts in my book, it is the cultural administrators of our country who have to answer this question. I pursue Vilasini Natyam for purely artistic reasons. The public-funded cultural councils of the government of independent India were already in place when I was born. The policies and guidelines followed by these councils appear to be susceptible to various pulls and pressures. I am not a part of any lobby, political or otherwise. Maybe this is the reason why organisations such as Sangeet Natak Akademi do nothing to support my efforts. There can be no other reason, because Vilasini Natyam as an art-form has already gained great appreciation amongst connoisseurs as well as the discerning media. You have taken Vilasini Natyam not only to the stage but also back into the temple during an annual festival at a temple in Hyderabad. Does this feature the ritual and ceremonial aspects of the dance? It is only the ritual and ceremonial dances of Vilasini Natyam that we perform annually in Sri Ranganatha Swamy temple in Rang Bagh, Hyderabad. These ritual-dances (called Agama Nartanam in Sanskrit and Gudi-Seva in Telugu) can be seen here every day during the Brahmotsavam, which usually falls in the months of January-February. As a part of worship in the temple, we dance these to the accompaniment of religious chanting and traditional music that includes ancient talas and rare ragas. Every Vilasini Natyam dancer looks forward each year to this one-of-a-kind experience. Besides performing Vilasini Natyam, I have also been teaching it over the past ten years to a select few. Some of my disciples are multi-stylists, like myself. Their experience while dancing Vilasini Natyam appears very similar to my own. They tell me that they feel ‘centered’ and sense a certain kind of ‘inner equanimity’ within themselves, not just while dancing temple-rituals but even during their stage concerts of Vilasini Natyam. I can’t help thinking that indeed, this is the true purpose of art. If I am able to lead people there I am deeply honoured and humbled, especially by the fact that it is the honest art of the much-maligned Telugu Devadasi and the proud artistic legacy of the Telugu Rajadasi that has brought me so close to the core of dance. This article was published in the Summer 2011 issue of Pulse magazine.